Frankly, the 2019 Toyota Highlander is known throughout the automotive world for its incredible cabin passenger space. We’re talking about up to 39.8 inches of front headroom, 44.2 inches of front legroom; 37.8 inches of second-row headroom, 38.4 inches of second-row legroom; and 35.9 inches of third-row headroom, and 26.7 inches of third-row legroom. After all, third-row SUV drivers want their seven passengers to relax! However, more recently, the 2019 Honda Pilot has been making some splashes, as well. So, our team at Andy Mohr wrote this Toyota Highlander vs. Honda Pilot comparison for our customers in Plainfield, Avon, Indianapolis, and the surrounding Indiana communities. Reach out to us with any questions! First, we’d like to jump to performance and capabilities. Why? Because that’s something else that SUV drivers want! Luckily, the Toyota Highlander is well-suited in this department. Drivers want an array of options, and the Highlander certainly has them, with three options including a 3.5-liter V6 Hybrid. The Honda Pilot, on the other hand, only gives drivers a 3.5-liter V6. In terms of engine options, the Highlander takes the lead! Luckily, however, the 2019 Toyota Highlander and the 2019 Honda Pilot are both extremely prepared when it comes to intelligent safety technology. That’s because they each have a smart safety suite. 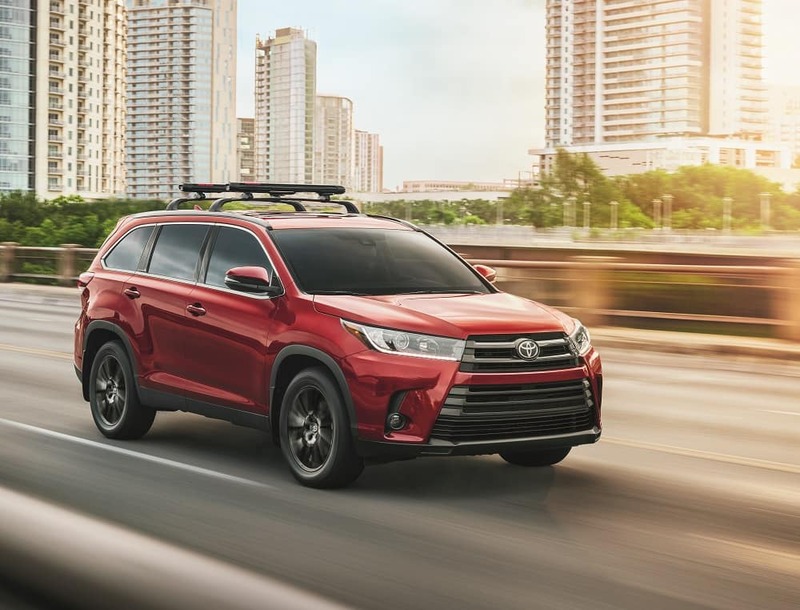 For the 2019 Highlander, that comes in the form of Toyota Safety Sense™ P (TSS-P), with its Lane Departure Alert with Steering Assist, its Dynamic Radar Cruise Control, its Pre-Collision System with Pedestrian Detection, and its Automatic High Beams. And that’s not even counting its Star Safety System™, which includes Enhanced Vehicle Stability Control, Traction Control, Anti-Lock Brakes, Electronic Brake-Force Distribution, Brake Assist, and Smart Stop Technology®. What a relief! For the 2019 Pilot, that comes in the form of Honda Sensing®, complete with Collision Mitigation Braking System™, Road Departure Mitigation System, Adaptive Cruise Control, and Lane Keeping Assist System. But, at the end of the day, Toyota gives you both TSS-P and the Star Safety System™. Would you like to test drive the 2019 Toyota Highlander today? Okay! At the end of the day, we’d pick the 2019 Toyota Highlander over the 2019 Honda Pilot. Because what’s more important than the safety of our loved ones? Nothing—absolutely nothing. Thus, if you live around Indianapolis, Avon, or Plainfield, contact us today at Andy Mohr Toyota to test drive your very own 2019 Toyota Highlander. Just call us, stop by our showroom, or reach out via our website!